Navigate to the Default channel setting and click the arrow to see the dropdown menu. 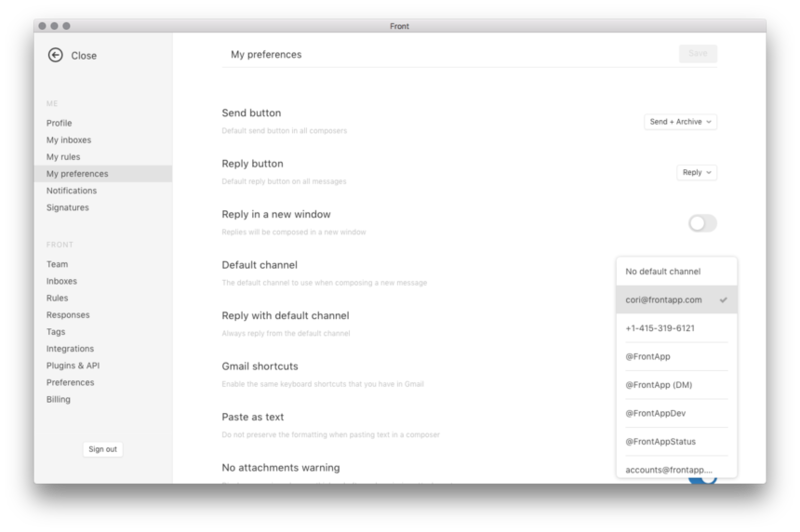 If you choose No default channel for your default channel, Front will automatically choose the most relevant inbox for your messages. Additionally, if you are using Front channels powered by Intercom, Twilio, Facebook, or Truly, responses there will still come from the shared inbox regardless of your default inbox setting (because Intercom messages have to come from Intercom, etc).